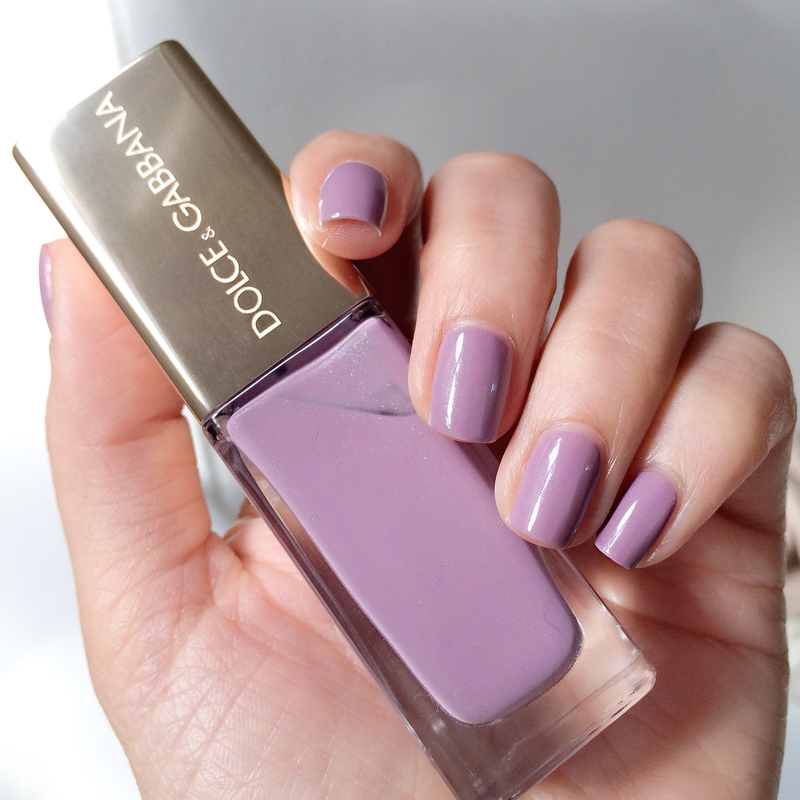 Lately I have been obsessing over everything lilac. I am guessing it’s the release of all these Spring collections taking it’s toll on me. But seriously, who could resist lilac? Just look at this pretty bottle I am about to review! This is my very first D&G polish and I feel like a little girl who got her first Barbie doll. It’s all i’d hoped for…. the beautiful packaging with it’s pristine gold cap and engraved logo, (yes ENGRAVED)! it screams luxury. Aside that though, I could easily justify my purchase as I truly own nothing like this. The shade itself is very grown up, an alomost mauve lilac.. quite ‘dusty’ with it’s high percentage of grey undertones and a hint of silvery micro shimmer that’s only visible upon close inspection. 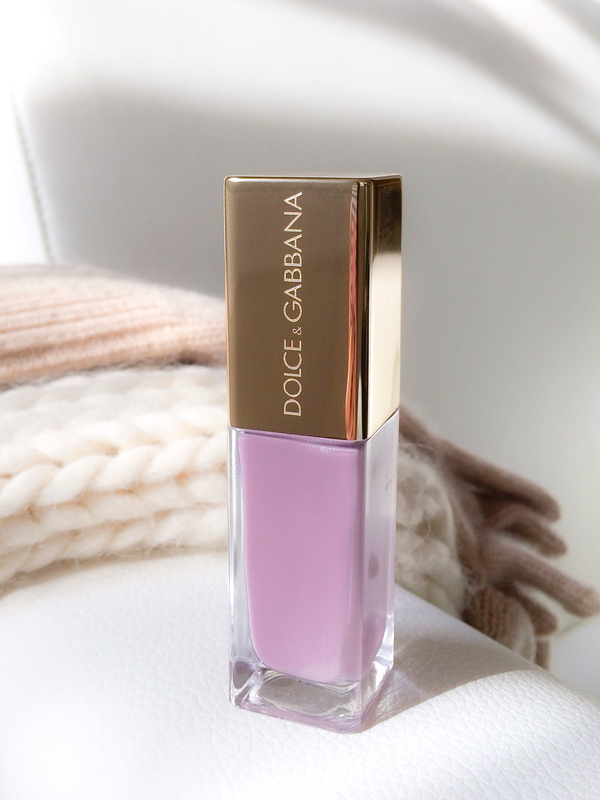 It actually makes for a perfect transition colour from Winter to Spring, where you’ve been wearing burgundies and greys on your tips, and this just takes it a bit further with a hint of lilac. Application wise this goes on very very smooth! 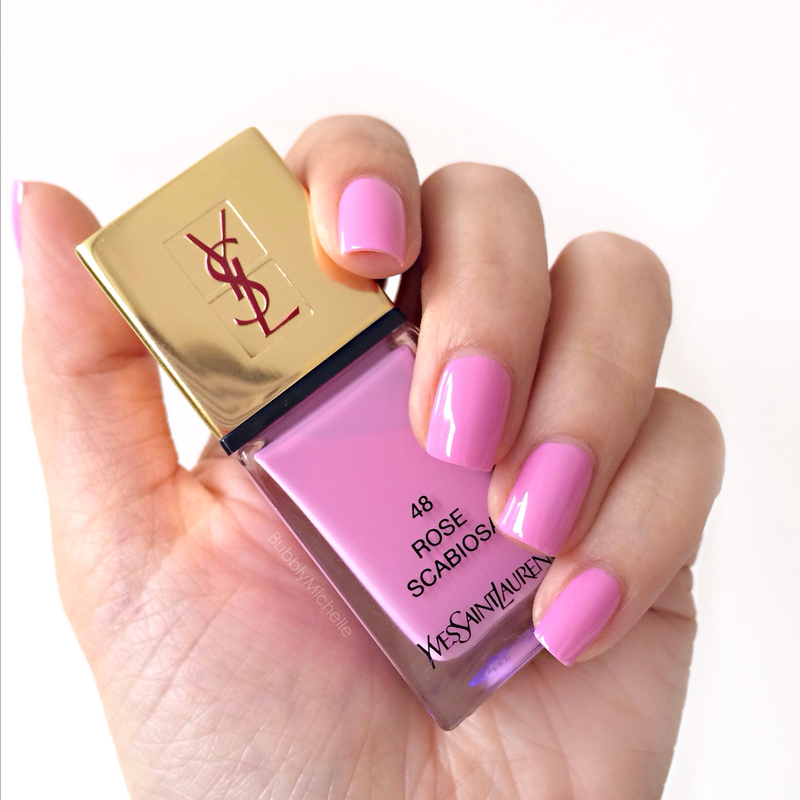 If you have read my previous posts on nail polish, you’d know I am a huge fan of the YSL lacquer formula (no streaking, excellent brush..). Well the D&G comes a close second. In one coat it was pretty much perfect. Absolutely no streaking. And if you like wearing your colours sheer, you could actually stop there. But as my preference in finish is more for opaque coverage, I did two. This dried somewhat jelly like and wasn’t what I was expecting to be honest. But after finishing with my Guerlain gel top coat, it turned out exactly as I imagined, glossy, elegant nails. Now if you are wondering, do I recommend you buy this? Of course!!! 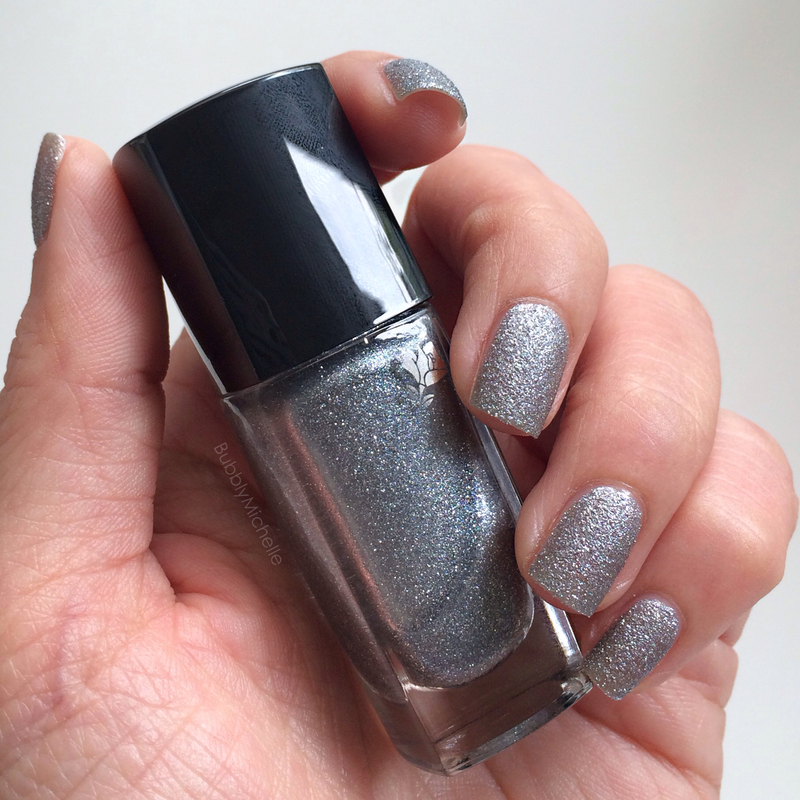 I wouldn’t usually type up a review on a polish unless I truly am madly and deeply in love with it! 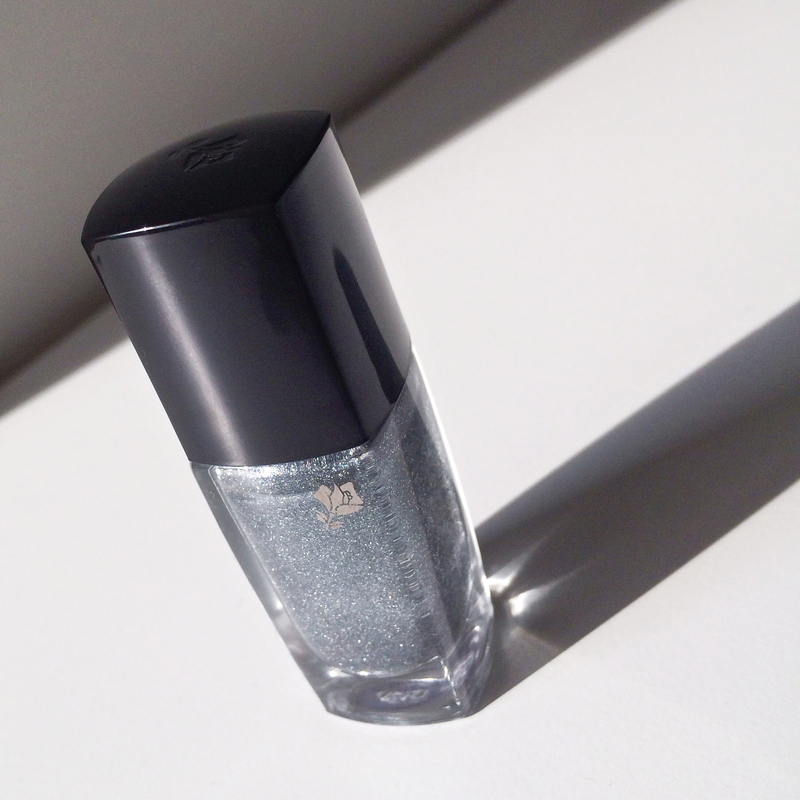 If you picked up this nail lacquer from Lancomes Holiday collection, lucky! Unlikely it’d still be available as it was a limited edition shade, but I didn’t want to keep the loveliness which is 071 Etincelle D’Argent to myself, just in case there was a chance you’d still be able to hunt this down! 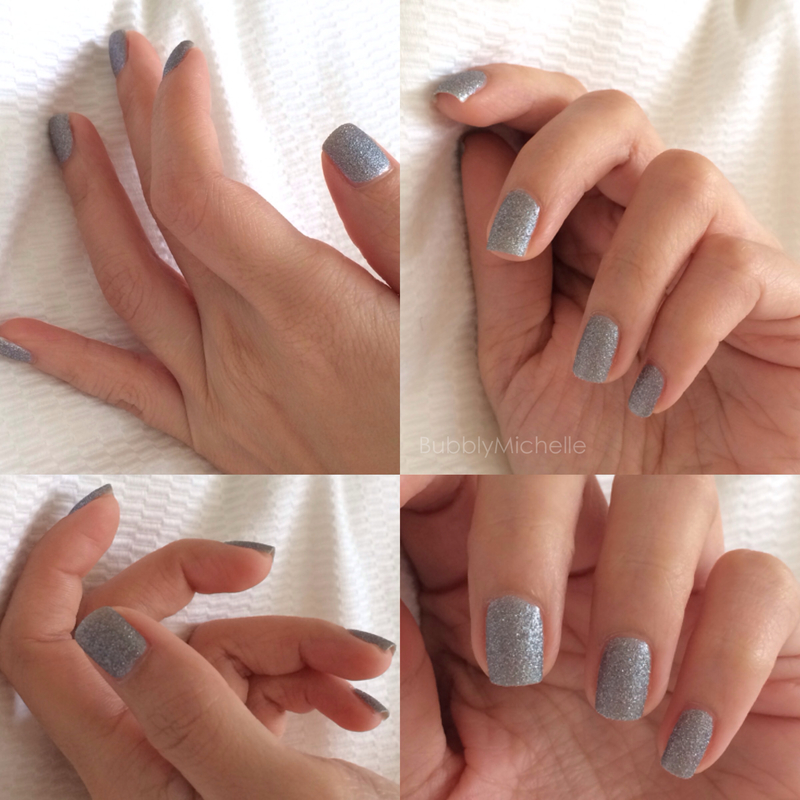 Le Vernis 071 is a cool toned silver tinsel shade, textured and MATTE. What I loved most about this lacquer was the consistency, not too runny or thick and it applied free of streaks achieving full opacity in just two coats. Upon application of a top coat (in this case the Guerlain gel coat) I found the colour intensified and the glimmer more pronounced. It’s also worth noting that the top coat did not alter the textured surface, or turn it glossy. 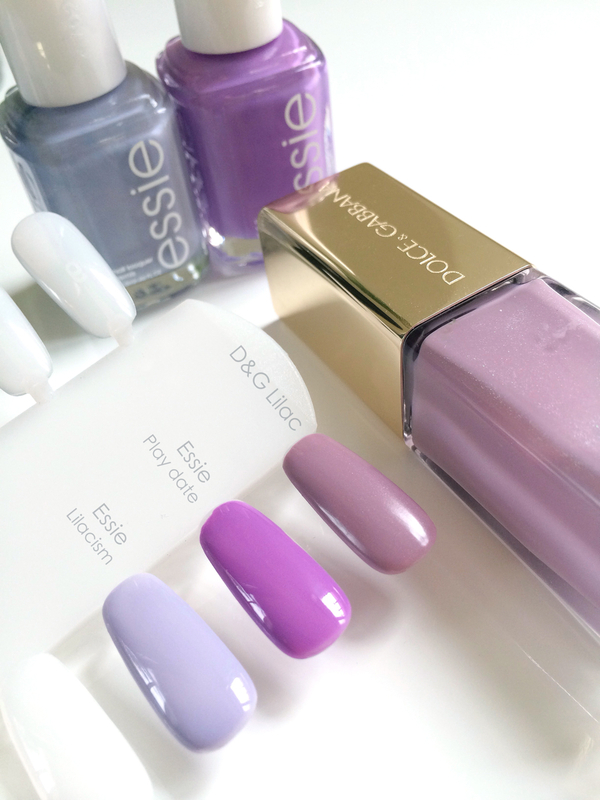 *All photographs were taken sans top coat, so you see this nail lacquer true to form. This nail lacquer felt heavy on the nails. Almost strengthening them with its sandy shimmer. I considered that a plus, as my nails are quite thin and prone to chipping. Drying time between coats was less than five minutes! The wider brush shape of the Lancome nail lacquers give better control and made it easier to reach the sides of the nail for a neat finish. Bottom line, I consider it unique and well worth splurging on 🙂 too pretty to pass up.